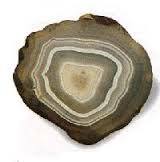 agate Considered a protective stone. It is believed to attract strength and offer protection from bad dreams, stress and the draining of energy. Agate is said to balance energies and awaken talents.. All agates strengthen the effect of other stones. Agate is used for stomach upsets. Place the agate on the solar plexus. The agate can't change emotions, but helps to change our level of acceptance of the emotion. Such as when you are very sad the agate will let you know that this will pass and help you get on to another and better day. This is why the Agate is considered so powerful as it gives us the strength to carry on. Carry an agate when you have to make an important decision. 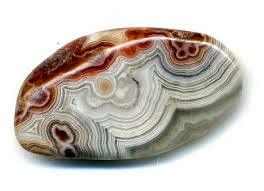 Botswana AGATE - Eases depression, promotes joy, dispels lethargy, increases practicality. 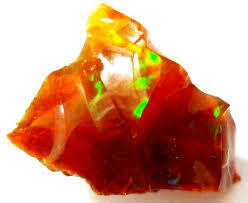 FIRE AGATE Restores emotional balance and harmony, increases pra cticality, subdues sexual conflict. -MOSS AGATE Eases depression, restores emotional and mental balance. Aquamarine is a blue-green stone that comes from Colombia and Brazil. It has been called "Water of the Sea", because of its color. The aquamarine is the stone of sailors, believing it would be protection for them on water. Folklore says the aquamarine will protect against gossip. It is also said the aquamarine will pick up spirits. It is an excellent stone to use for meditating. Aquamarine is most powerful as a meditation stone, as it brings a great peace and serenity. Some people can meditate on an Aquamarine to receive the wisdom to see truth, but this is a very advanced meditation. Aquamarine is often associated with the thymus gland. It is very soothing worn as a necklace. Healers use it to help reduce fluid retention. It has been used to calm the nerves. The Romans used the aquamarine for diseases of the stomach, and believed it could cure liver and throat troubles. This semi-opaque blue-green variety of feldspar is named after the Amazon River. Amazonite balances feminine and masculine energy. It promotes kindness and practicality. It is an excellent stone for artists and for men. Pale azure blue amazonite is know as the lucky "Hope Stone". It will be lucky for all your hopes and dreams. 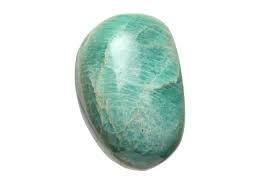 Amazonite is blue-green to pale green stone in the feldspar group. It is found in the United States, Australia, Brazil, Madagascar and Russia's Ilmen Mountains. Amazonite helps balance the emotions and gives physical stamina. It is said to have a powerful filtering effect and protects against electromagnetic pollution (mobile phones, computers...). 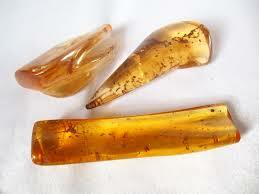 Early physicians prescribed amber for headaches, heart problems, arthritis and a variety of other ailments. In ancient times, amber was carried by travellers for protection. To early Christians, amber signified the presence of the Lord. In the Far East, amber is the symbol of courage; Asian cultures regard amber as the 'soul of the tiger'; Egyptians placed a piece of amber in the casket of a loved one to ensure the body would forever remain whole. Crystalline quartz in shades of purple, lilac or mauve is called amethyst, a stone traditionally worn to guard against drunkeness and to instill a sober mind. The word amethyst comes from the Greek meaning "without drunkenness" and amethyst is believed to protect one from poison. 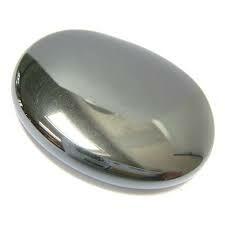 It is used as a dream stone and to help insomnia. Put an amethyst under your pillow to bring about pleasant dreams, or rub it across your forehead to offer relief from a headache. Ancient Egyptians used the amethyst guard against guilty and fearful feelings. It has been worn as protection from self-deception, as well as a protection against witchcraft. 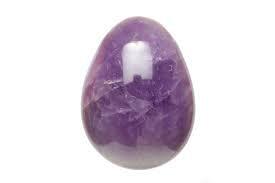 The amethyst has long been used to open the spiritual and psychic centers, making it one of the power stones. It is also used as a meditation aid when worn as a necklace. The amethyst is known as the Bishop's Stone and is still worn by Catholic Bishops. The amethyst symbolizes piety, humility, sincerity and spiritual wisdom. It is thought the amethyst is the perfect stone to symbolize The Age of Aquarius. Amethyst is a gemstone often worn by healers, as it has the power to focus energy. A healer will usually wear several pieces of jewelry with amethysts set in silver, especially an amethyst necklace. The person to be healed will have an Amethyst to hold while the healing is being done. The healer will place another piece of Amethyst on the area of the body in need of healing, the heart or lungs usually. Amethyst is used for problems in the blood and in breathing problems. Amethyst crystal clusters are used to keep the air and life force in the home clean and positive. Using an Amethyst as a meditation focus will increase the positive spiritual feelings. Amethyst helps overcome fears and cravings. It also helps relieve headaches. Ametrine is a rare and unusual stone which occurs in quartz when amethyst and citrine reside in the same crystal. Because the color zoning effect is natural, no two ametrines will ever be exactly alike. 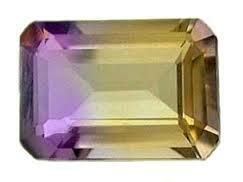 Ametrine is very helpful in getting rid of depression. This leads to inner peace and tranquility. Many believe that it contains the powers of amethyst and citrine in one stone, making it a very powerful money stone as well as an excellent via to higher psychic awareness and spiritual enlightenment. Blue to blue-green apatite is generally considered the primary color apatite as regards metaphysical properties. Golden (yellow) apatite is often thought of as a secondary type of apatite in general mystically, but is adds power in the solar plexus chakra and related energies. 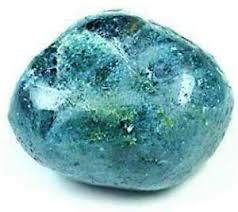 Apatite is a stone that mystically can stimulate the thoughts and ideas. It is used, often in conjunction with meditation, to increase intellect, imagination, and intuitive and psychic awareness. It is said to help you maintain focus, learn, concentrate effectively, think clearly, and communicate better. 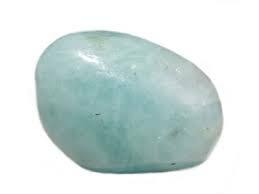 Apatite is a powerful meditation or psychic awareness tool. It can clear the aura, enable spiritual attunement, and bring powerful psychic awareness. Apatite is used very successfully mystically for lucid dreaming, deep meditation, astral travel, past life work, rebirthing, and inner wisdom. 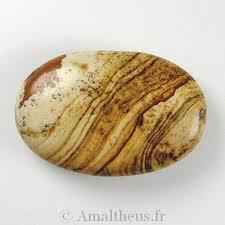 It is a stone that promotes psychic communication, clairvoyance, and clairaudience. Apatite can be used to enhance the energies of other crystals and stones. Apatite is used by artists and others who wish to have more creativity in their lives to increase their creativity and imagination. Having apatite near you or wearing it can bring harmony on all levels, and brings inner peace. This occurs because it is aid to help release old feelings that may be hampering you in current life, including ones from past lives. Apatite is reputed in mystical lore to physically assist with nail problems, allergies, arthritis, bones, eyesight, glandular problems, muscles, nervous system, weight loss. Note that healing crystal meanings are spiritual supports to healing and are not prescriptions or healthcare information. Golden (Yellow) Apatite also relates to the solar plexus chakra and brings those energies of manifestation, abundance, strong confidence, and will power as well as others related to that chakra. Golden apatite is also used in crystal healing for chronic fatigue, depression liver, pancreas, Note that healing crystal meanings are spiritual supports to healing and are not prescriptions or healthcare information. Apatite is primarily related to the throat and third eye chakras, though olden Apatite is related to the solar plexus chakra as well. Aragonite acts as a stabilizing stone, and can be helpful for those who have focused solely on spiritual pursuits to the exclusion of other necessary tasks. It promotes focus and concentration, and can be helpful for students. Aragonite calms, centers, stabilizes and increases the ability to remain patient, even in the most challenging of circumstances. It will enhance and encourage sensitivity and generosity. Aragonite can be an aid for those who lack discipline and self-control, and can help one to overcome stagnation in their personal growth. 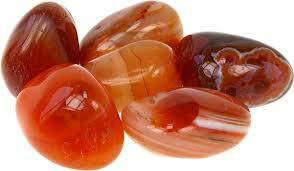 Physically, Aragonite's ability to raise vibrational energies of the body can assist with all types of healing. Aragonite can help to speed up the recovery from broken bones and nerve damage. Its highly grounding energies allow Aragonite to help relieve stress and nerve problems that may lead to restlessness, twitching or spasms. You should never buy a lottery ticket without an aventurine in your left pocket. Lady Luck will be in your left pocket. This is the stone of opportunity. Aventurine is known as the stone of chance or luck. If you gamble or play the lotto, keep this stone in your left pocket. It is used to aid nearsightedness. 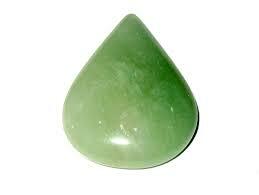 Aventurine has a stabilizing effect on the emotions. 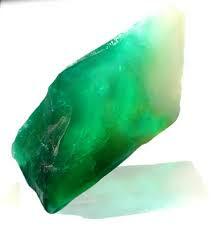 It is excellent for teenagers Aventurine is mainly quartz, a quartzite, usually containing mica. It occurs in several colors including green, red and blue. Green Aventurine is the stone of luck and chance. It is said to increase perception and creative insight. It is a heart chakra stone. Blue Aventurine is an Aries stone that opens the Third eye chakra. It is a powerful mental healer that increases vitality and a positive outlook. This stone assists in self-discipline and developing inner strength. Yellow Aventurine opens the Third eye chakra. It is often used to balance emotions and male/female energies. 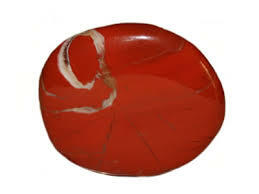 Red Aventurine opens the Root chakra. It can assist in creativity, and help you to see the possibilities in new opportunities. Azurite is an an intense deep blue color that often occurs with Malachite, Chrysocolla or Turquoise in areas with copper deposits. Physically, Azurite increases blood-oxygen levels; repairs brain cells, alleviates bone and joint problems and eases sore throats. Azurite also helps heal the kidneys, gall bladder and thyroid. Malachite absorbs energy, draws emotions to the surface, clears and activates the Chakras. An extremely powerful metaphysical stone, Malachite is called the "stone of transformation" and is used for deep energy cleaning. For this reason, some metaphysicians recommend using Malachite in small doses. Also called Iceland Spar, Optical Calcite is helpful for those in need of clarity, and those who are learning about Law of Attraction and manifestation. Like Clear Quartz, Optical Calcite can amplify intent, and can be programmed for a specific purpose. Optical Calcite can help one to see past errors and ways to correct them for benefit in the future. Calcite is a powerful energy amplifier and cleanser. The purifying energy of Calcite cleans out stored negative energy from a room, the body, etc. Use Calcite to clear out old energy patterns and to increase personal motivation and drive. Calcite is also a good choice for distance healing work, because it amplifies the energy being sent. Calcite is also known as the "stone of the mind." Calcite heightens mental discernment and analysis, increases memory and learning abilities. Calcite is THE stone for students and academics, and can be indispensable at helping students to retain their lessons. Calcite is also useful during times of mental adjustments and disagreements. Calcite can show you a new way to look at a situation, easing you away from old, outdated thought patterns that may be in the way of new ideas. Calcite has been associated with the bones and joints, and balances the amount of calcium in the body. Calcite can also help to improve the body's absorption of important vitamins and minerals. Celestite, also known as Celestine, is revered for its high frequency and Divine energies, and is known as a powerful healing crystal. Bringing mental calm and clarity in the midst of any chaotic circumstance, Celestite can allow one to easily flow through a traumatic period and still come out on top. Celestite can relieve stress, anxiety and obsessive behaviors. It is a perfect piece to carry for those who are singers, actors or speakers, as the energy will alleviate any type of stage fright or nervousness. 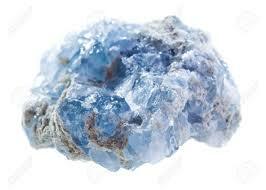 Celestite gives courage to those who suffer from agoraphobia (fear of crowds) or public speaking. It can be beneficial for shy or timid children to try new experiences. Celestite brings harmony and balance, and will assist the holder in finding and maintaining inner peace. Its ability to heighten divine intuition makes Celestite especially useful for Reiki practice. A stone for peace and harmony, Celestite has the potential to bring these qualities into daily living. Celestite is a great facilitator for deep states of meditation, helping to calm the mind and open it to communication from the higher realms. Celestite is a perfect companion to use during dream time. It will assist in recalling not only the dream, but also the specific details of the dream. Information imparted during the dream state will also be recalled with perfect clarity. Celestite sends energy to the organs of the higher chakras, aiding the healing of disorders such as brain imbalances, cellular disorders, and ailments of eyes, ears, nose, and throat. Celestite can also act as a detoxifier and pain reliever. This colorful, iridescent crystal is composed of Copper Iron Sulfide, an ore of Copper, and gets its coloring from oxidation of the crystal's surface. Chalcopyrite is a stone of creativity, flexibility and innovation. Use Chalcopyrite to find new friendships as well as lost items. It can be beneficial for those whose lives have become mundane by increasing the creative processes and stimulating new ideas. It is the merging of Iron's affinity with Venus (beauty) with Copper's relation to Mars (power) that Chalcopyrite can benefit those in the fashion, media, and sales industries, as well as those starting a new fitness regimen or martial arts program. Chalcopyrite helps us deal with fears of failure and poor self-esteem. It enhances communication with the Universe and helps with mediation. Chalcopyrite can shield the wearer from the effects of lengthy medical treatments (such as chemotherapy) or repeated surgical procedures. 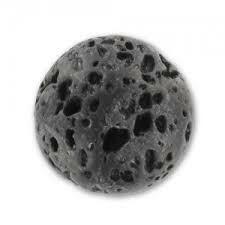 It is a detoxifying stone and may also help with inflammation, fevers, bronchitis and brain disorders. Charoite is a wonderful, spiritual stone teaching and guiding us on how to live in the "Now". It is a stone of acceptance and insight. Charoite provides healing on all levels- physical, emotional and spiritual. 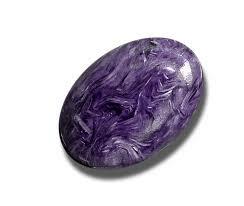 Physically, Charoite removes/transmutes negativity and overcomes obsessive/compulsive behaviors. Emotionally, Charoite helps to face and release fear. Spiritually, this "Stone of Transformation" enhances past life visions, supports your life path, and grounds the Spiritual self into every day reality. Charoite is a stone of service and altruism, reminding us that Service to All is the realization of Connection to ALL. It opens the Heart so that love can clearly be seen and deeply felt. Meditating with Charoite will help to raise your vibration and hold you in a state of "no mind". You may also see clearly, life lessons that were "self inflicted" in order that you may gain further insight into the experience. Placing Charoite on your Third Eye Chakra can also help to access knowledge during the dream state. Chrysocolla is a very peaceful stone. It is soothing and calming in times of stress, bringing about a gentle release. Chrysocolla gently draws off negative energies of all kinds and is especially helpful during transitional times, such as breakups and job loss, among other similar situations. By the same token, Chrysocolla can help calm the emotions and bring understanding to discordant relationships. Chrysocolla is a wonderful piece to use, on a daily basis, as a support stone. It helps to face challenges and changes with ease. Chrysocolla inspires creativity, inner balance and self-awareness. Chrysocolla can be used where feelings of anger, guilt and blame are present. It will gently assist in the awareness and understanding of this process and will bring in the energies of forgiveness, love and joy. Chrysocolla is a powerful stone because it aligns all chakras with the Divine. At home, use Chrysocolla to guard against obnoxious neighbors, unwanted phone calls and emails. It is helpful, especially for the elderly, to ease feelings of fear when living alone. Physically, Chrysocolla can help heal ailments of the lungs, back, and stomach. It alleviates rheumatism, arthritis and painful joints. It oxidizes the blood and helps with proper lung function. Chrysocolla also helps with high blood pressure, insulin production, thyroid problems, PMS, healthy fetal development and labor pains. Citrine is a yellow-to-golden member of the quartz mineral group. A deep golden variety from Madiera Spain can resemble the costly imperial topaz gem stone, which is one reason that citrine is a popular birthstone alternative to those born in November. Citrine has been called the "stone of the mind". Ancient cultures believed that placing a citrine on the forehead of an elder would increase his psychic power. Money energies of citrine Citrine is known as the lucky "Merchants Stone". If you are in any type of sales, just put a citrine in the cash drawer and watch what happens. Citrine is sometimes used by healers to help with digestion as it is considered beneficial to the endocrine and digestive system - cleansing, purifying and eliminating poisons that have built up. Citrine is an excellent stone to calm and soothe distressed conditions. Some use it to help relieve depression, digestive problems (including constipation and diabetes). It will give joy and love to the owner. Sources of citrine include Brazil, Bolivia, several African countries and parts of the Soviet Union. 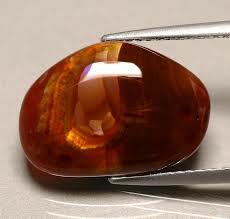 To be categorized as true Amber, the resin must have completely fossilized over a process of 100,000+ years. This Copal or "Colombian Amber" is less than 1,000 years old and has not yet fossilized. 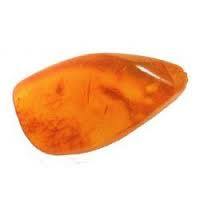 Copal will eventually become Amber as it ages and many believe it has a very similar vibration to amber. Iolite is the gemstone variety of the mineral Cordierite. These beautiful blue violet crystals may stimulate the imagination and the intuition . It helps with the self confidence. The major deposits are found in Brazil but it also comes from India, Sri Lanka, Burma, and Madagascar. The meaning of its name comes from the Greek word meaning violet. Iolite Cordierite may be seen as different colors in different lights and from different directions. It increases personal power and physical energy, bringing you courage, compassion and a boost in creativity. Wearing or carrying Carnelian enhances vitality and will, providing you with the confidence needed to approach new projects and dreams. It is a wonderful stone to wear on a job interview, as it brings good luck and opportunity, awakening your hidden talents within. In ancient times, iEgyptians buries their loved ones with Carnelian as it was thought to protect their loved ones in their journey to the afterlife and calm their fears about rebirth. The clear quartz crystal is one of the most sacred stones of ancient cultures. Its clarity and transparency give it a mirror quality through which things can be seen clearly. 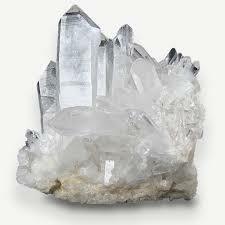 The natural quartz crystal symbolizes white light energy. The power of the crystal can be found in its structure - growing and reaching up toward light from the deepest parts of earth. It is a conductor of energy - both as a receiver and a transmitter. It is important to keep your crystal clean in order to protect it from outside negative vibrations. Your personal crystals will attune themselves to your vibrations, as you will attune to the natural vibrations of the crystal. Choose crystals that seem to speak to you or that you feel attracted to for best results. Clear quartz crystals have been used for centuries in healing. Egyptians used them in pyramids to attract the power contained in light. Their triangular shapes held mystical appeal. American Indians have long revered the crystal as a sacred symbol of light. Crystals have been used to cut a newborn's cord, and are often buried with the dead in addition to use in many ceremonies and rituals. In the Tibetan culture, crystals are considered sacred objects that are empowered with the elements. Many cultures carry them in pouches for protection from negativity. Coral has been called the 'garden of the sea'. It was once believed to be a plant, but is now known to actually contain living animals called polyps. Coral is the result of accumulated skeletal masses from these polyps. Red is considered the most sought after color but coral also can be found in pink, white, yellow and black. Records dating back thousands of years confirm that coral was used in decorative art objects. It was believed to prevent ill fortune and offer protection from skin disease when worn as a necklace. Dreams about coral are believed to foretell recovery from a long illness. 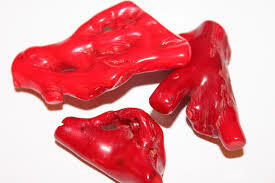 Ancients believed that Mars was composed of red coral. Coral is a good aid for meditation or visualization. Said to hold the mysteries of the Universe, Green Diopside encourages learning, especially those entering college, either for the first time, or those looking for a career change. It is helpful for learning a new language and for those teenagers taking their driving test. In younger children with learning disabilities or dyslexia, Green Diopside eases those difficulties, making it easier to assimilate information. It aides writers who need to keep deadlines while still writing in a concise manner. Green Diopside is thought to be a "dowser of knowledge", making it invaluable when seeking specific information – take it with you to a library and it will lead you to the knowledge you seek. On the home front, Green Diopside helps families cope when living with those who may be suffering from mental or physical disabilities or degenerative conditions. Physically, Green Diopside eases headaches, regulates blood pressure, helps with recovery after surgery or illness, and aides in the recovery from eating disorders, obsessive behavior, and addictions. The emerald is the sacred stone of the goddess Venus. It was thought to preserve love. The emerald has long been the symbol of hope. It is considered by many to be the stone of prophecy. For some the emerald acts as a tranquilizer for a troubled mind. The emerald is said to bring the wearer reason and wisdom. The strongest time for the powers of the emerald is said to be spring. Emerald is used by healers to help heal the heart. The power of the Emerald is highest at the full moon. Some cultures thought the emerald would heal any disease of the eye. The emerald would be placed in a container of water overnight and the water would be poured on the eyes the next day. Emerald is a stone of great harmony, wisdom and love. Giving your lover an Emerald will bring the lover closer if the giver's motives are pure love. The Emerald can be a bridge between 2 people. The Emerald vibrates with love. The proper name for the emerald is beryl, but there are different colors of beryl. Emerald green is the color as well as the stone. Most emeralds have inclusions (bubbles) in them. If the stone has too much blue in it, it is then an aquamarine. Pink beryl is Morganite, yellow beryl is golden beryl, yellow-green beryl is heliodor. There is also a rare red beryl. The best beryl comes from Colombia and Brazil. 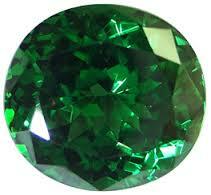 Emerald can also be found in India, Australia, South Africa, Pakistan, and Zimbabwe. An emerald of the right shade of green can be more valuable than a diamond. 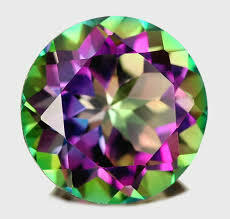 Formerly called fluorspar, fluorite has a wide range of colors including yellow, blue, pink purple and green. 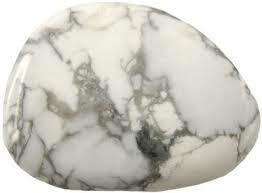 It is an interesting and beautiful stone because often more than one color occurs in a single stone. The ancient Egyptians used flourite to carve statues and scarabs, the Chinese have used it in carvings for over 300 years. 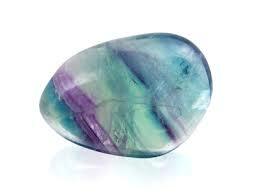 In the 18th century, fluorite was powdered in water to relieve the symptoms of kidney disease. 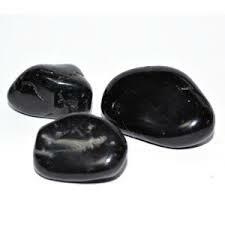 Genius stone - Protection stone - Success stone, this powerful stone draws off negative energies and stress of all kinds while purifying and reorganizing that which is disorderly. 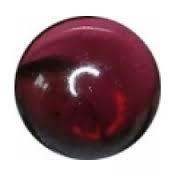 Arizona Ruby, Carbuncle, Cinnamon Stone, Gooseberry Garnet, Grape Garnet and dozens more below, as garnet comes in a wide range of types and colors.Garnet is believed to get its name from Latin for "seed" (granate) due to red garnet's similarity to a pomegranate seed. Garnet is a stone of regeneration and energizing. 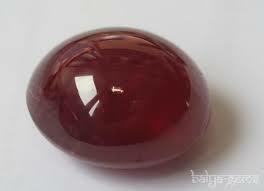 Garnet can boost the energy of an entire system and revitalize it.. It is said to be stabilizing in that it can bring order to chaos whether internal or external. Garnet is a protective energy stone which is especially known for protection from evil, during travel, nightmares, and from wounds. Garnet has been used to release bad karma, which can be considered a form of protection in this life. Garnet is said to be a stone of protecting against and success with lawsuits. It is used to ground one's dreams in reality, bringing abundance, prosperity, and realization of those dreams. Square cut garnets are reputed to be especially good tools for business success. All garnets are used to assist on an energetic level with success in one's career in part by building one's self-confidence, inspiration, and creativity. It can also make clear what is one's life purpose. Emotionally, considered a stone of increasing commitment, honesty, hope, and faith. It is a stone of positive thoughts which is said to dispel and relieve depression. Garnet is also used to overcome crisis and trauma. It is used to bring one away from a sense of helplessness or victimization and imparting courage. It is used to assist in diminishing or eliminating abandonment issues. One of the ways said to bring these about is releasing old ideas and perceptions of self and others which allows one to see them as they are, rather than through a filter of fear. Thus it can reduce or eliminate conscious or unconscious self-sabotage. It is said to enhance emotions in a positive way, and also be quite calming. Garnet is considered a stone that helps one realize and enjoy the pleasures of earthly incarnation.This includes enhancing sensuality, sexuality, and intimacy in a balanced fashion. As such, garnet is a stone of love and passion. Garnet is sometimes called a "stone of health" and crystal healing specialists say that garnet can assist in healing acid reflux (GERD), adrenal glancs, ADD/ADHD, anemia and other blood related illness, assimilate vitamins and minerals, bone, brain and brain tumors, cell structure, Down's syndrome, DNA/RNA corrections, fertility, heart, immune system, lungs, physical strength, pituitary, reproductive system, skin, spine, as well as promoting rapid general healing and regeneration. Please note that healing crystal meanings are spiritual supports to healing and are not prescriptions or healthcare information. Hematite is also used to protect against geopathic stress and electromagnetic smog, and is said to be a great detoxifying stone, helpful for the liver and the blood. Howlite is one of the "attunement stones" which link the user to higher spiritual consciousness. Howlite opens and prepares the mind to receive the energies and wisdom of attunements. Howlite is a lovely stone to use when needing to reduce anxiety, tensions and stress. Howlite can be used to facilitate awareness, encourage emotional expression and assist in the elimination of pain, stress and/or rage. Howlite will calm and soothe the emotions, slow the overactive mind and help to achieve a deep and restful sleep. Howlite can help to access/retrieve wisdom during the dream state and bring it back into consciousness upon waking. Howlite brings mental awareness, both to current and past-life issues, and facilitates a calm communication of these issues. Keep a piece of Howlite in your pocket to absorb anger and negative energy. Meditating with Howlite can help one to connect with the higher realms, allowing for greater communication of higher frequencies into the higher chakras, to be assimilated by the unconscious mind, which helps one to slowly remove the veils blocking truth. Howlite strengthens positive character traits, removing selfishness, rude behaviour, and greed. Physically, Howlite can help with the absorption of calcium into the bones and teeth, and can balance the emotions. Howlite also assists in relaxing and releasing muscular tension. Jade is an ancient stone that has historically been used to attract love. Carved into a butterfly, in China it is a powerful symbol used to draw love. 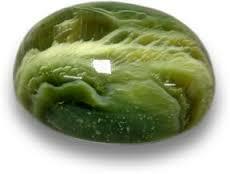 t he soothing green color of jade makes it a wonderful healing stone. It helps the body in self-healing while working through underlying, non-physical reasons for a precipitation for disease. It is particularly helpful for kidney, heart and stomach complaints. Jadeite is the second member of the Jade family, which is a Pyroxene mineral, unlike its Actinolite mineral brother, Nephrite. A more grainy jade, Jadeite is slightly harder than Nephrite, but not as tough. It comes in a variety of colors, the most famous of which is a semi-transparent emerald-green jadeite known as "Imperial Jade". Jadeite is also found in green (light apple to deep green), lavender, white, pink, red, yellow, black, blue and orange. The majority of this sought-after variety of Jade is found in Myanmar, what was once Burma. Jadeite is a stone of harmony, bringing cohesiveness to group settings, whether family or business colleagues. It strengthens relationships and helps those recover after loss or separation. Like all Jade, Jadeite is a stone of prosperity and abundance. It will increase a slow business as well as a failing garden. Jadeite is especially helpful for teenagers and children who are shy, lonely or dealing with changing hormones. Use Jade to increase the ability to interpret dreams as well as induce lucid dreaming. Physically, one can use Jadeite to aide in male reproductive disorders; to repair cells and bones; relieves pain and eases restless leg syndrome, cramps, and "Charlie horses"; increases healing after surgery and helps regulate high blood pressure. et occurs in black or dark brown and is a variety of coal known as lignite. The finest jet comes from England, and it is also found in the United States, Poland, France, Germany, Spain, India and Russia. Jet neutralizes negative energies. Hold a piece of jet to clear negative vibrations. To release stress, combine jet with lepidolite. Psychic protection and purification - use jet with black tourmaline or smokey quartz. 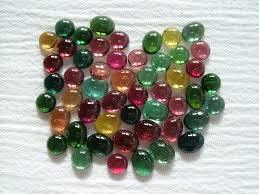 Jasper is known as the "supreme nurturer". It sustains and supports you during times of stress and brings tranquillity and a feeling of wholeness. Used in healing, it unifies all aspects of your life. Jasper wants to remind you to help each other. 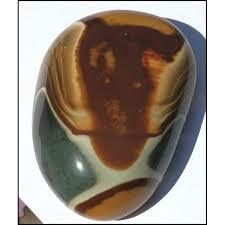 Jasper aligns the chakras and is used in chakra layouts. 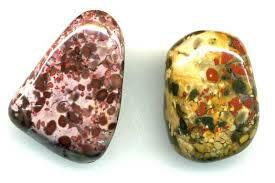 When using jasper for the chakras ensure that the stone you have chosen is the correct colour for that chakra e.g. Drusy jasper for the solar plexus chakra and red jasper for the base chakra. This stone aids you when taking shaman journeys and dream recall. Jasper provides protection and grounds energies in the body. It absorbs negative energy, cleanses and aligns the chakras and aura. Jasper balances yin and yang elements. It aligns the physical, emotional, mental bodies with the spiritual realm. It clears electromagnetic and environmental pollution (including radiation). It helps with dowsing. Jasper imparts determination to all tasks. It brings you courage to get to grips with problems and encourages you to be honest with yourself. 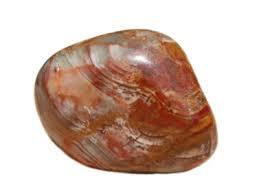 Jasper is a supportive stone during conflict. Jasper helps with quick thinking and promotes organisational skills. It helps you see things through to the end. Jasper stimulates the imagination and transforms ideas into action. Jasper prolongs sexual pleasure. It supports you during a long illness or a period in hospital by re-energising you. Jasper supports the circulatory, digestive and sexual organs. It balances the mineral content of the body. It is particularly useful as crystal water because it doesn't overstimulate the body. Yellow Jasper is strongly connected with the energy of the Sun, promoting happiness, joy and positivity. It stimulates and balances your solar plexus chakra to reduce feelings of stress and anxiety. The yellow jasper healing properties help to increase your self-confidence, especially in situations where you are feeling overwhelmed or out of your comfort zone. Carry yellow jasper when you need a boost of energy! Leopard Skin Jasper is a great crystal to use to strengthen your connection with animals—like your pets! It is a very strong self-healing and nurturing stone that helps to further your personal growth. Leopardskin jasper is also wonderful to carry in times of stress, as it will provide you with the tranquility and wholeness that you are looking for. Ocean Jasper is the ideal stone to use when you are feeling a little down, and need a little uplifting. It brings feelings of joy, happiness and lifted spirits, helping you to release negative feelings and energy so that your confidence can shine through. The ocean jasper healing properties can benefit EVERYONE, and it is honestly a stone that everyone should have in their crystal collection! It is sometimes referred to as cellular jasper because its strong healing energies are believed to act your body on a deep cellular level. Picture Jasper carries a very deep connection to the Earth and is often called the Stone of Global Awareness for this aspect. The beautiful "scenes" or "landscape patterns" of its appearance are believed to be messages from ancient civilizations. The picture jasper meaning has made it a widely used crystal for meditation, helping you to merge with the consciousness of earth. It will bring you comfort, nurturing energies and feelings of security to help you release any fear, stress or anxiety you may be feeling. Red Jasper gives you a surge of life force energies, enhancing your endurance and stamina. Its energy is similar to adrenaline, waking you up and energizing your body to boost your energy level. The red jasper healing properties encourage a positive and joyful attitude, giving you the motivation to chase after your dreams. It is also said to be especially lucky for actors and actresses, as it helps you manifest creative ideas. Kunzite is the pink variety of Spodumene. It is a highly spiritual stone, connecting to the source of unconditional love, producing loving thought and action. Kunzite centers the holder, projecting a sense of deep peace. Kunzite is a high vibrational stone and can be used to go into a deep, meditative state. Kunzite centers, enhances creativity and self expression. Kunzite is a stone of romantic love, good for communication of love when you are nervous, as well as for healing heartaches. It is also a stone of self-love, promoting humility and self-tolerance. 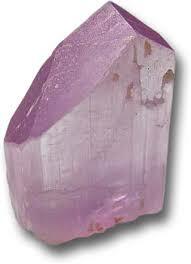 Kunzite can strengthen the human energy field, clear the aura, and clear negative energy from a room or environment. Physically, Kunzite can strengthen the circulatory system and the heart muscle. It is also a wonderful stone to use for depression and anxiety. Blue Kyanite is especially good for working with the Throat Chakra and communication issues. Blue Kyanite helps to speak ones truth with clarity, making it a great stone for public speakers and performers. 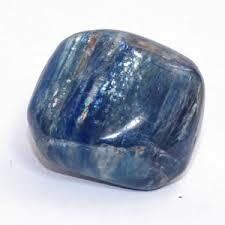 Physically, Blue Kyanite is useful for ameliorating throat and voice ailments. It can help with mobility and speech difficulties, especially after a stroke. Use Blue Kyanite to keep bone marrow, cells, and tissue healthy. A good crystal to enhance brain function and the entire neurological system. Kyanite transmits and amplifies high-frequency energies, making it a great stone for attunements and meditation. Kyanite brings a calming, tranquilizing energy to the body. Kyanite clears and calms you in preparation for meditation, and assists in receiving intuitive and psychic thoughts, as well as dream recall. Kyanite restores Qi (or Ki) to the physical body, and balances yin/yang energies. Labradorite is a crystalline form of Feldspar, often gray in composition but known for its "flash" or "flame" when it catches the light. When polished, dark gray Labradorite flashes with colors deep within, including blue, green and gold. Labradorite is a stone of transformation and change. 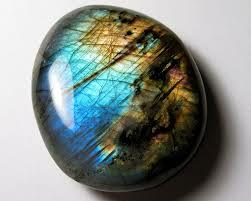 Labradorite enhances strength of will and feelings of inner worth. It is useful for bringing up and healing old memories, including past life issues. Labradorite can also help prepare the body and soul for ascension. Labradorite helps to assists when facing and navigating all types of changes and challenges, attracting strength and perseverance. Labradorite is one of the best stones to use when dealing with any type of addiction or to break unhealthy (physical, mental, etc.) habits. LAPIS LAZULI Made from a combination of minerals, including Lazurite, Calcite, and Pyrite, Lapis Lazuli is said to have been in existence since the birth of time, and was used by ancient Hebrews on ceremonial robes. Lapis Lazuli reminds us of the power of the spoken word and is one of the best stones to use when opening and balancing the Throat Chakra. Lapis Lazuli helps to foster full verbal expression, and clears problems caused by "swallowing your tongue". Lapis encourages clear, truthful expression when sharing information with others, including an easier voicing/communication of anger. Lapis also protects against psychic attack, shielding negative energy and returning any negative vibrations to their source. 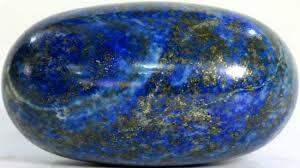 Lapis Lazuli will enhance dream work and spiritual journeying.It helps with the immune system, thyroid and nervous system. It can alleviate headaches, migraines, fevers and pain. Malachite is a stone of balance, abundance, manifestation and intention. Malachite absorbs energy and draws emotions to the surface. 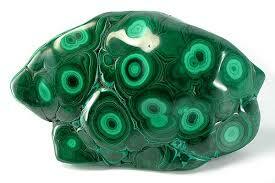 Malachite amplifies energies of all kinds, both positive and negative. One of the most important healing stones, Malachite helps the user acknowledge, draw out, and discharge negative energy, including old emotional patterns, past traumas, and suppressed feelings. Malachite's ability to draw out negative energy can assist in discovering the energy blocks and patterns that may be causing physical disease. Highly protective, Malachite absorbs pollution, purifies, and shields against radioactivity. Malachite can be useful in easing menstrual cramps and childbirth. Use Malachite on the Third-Eye to facilitate psychic vision, while Malachite held on the Heart Chakra will bring balance and fidelity to relationships with other people. Physically, Malachite is a wonderful equalizing and balancing agent. It protects against radiation and has been used in the treatment of asthma, arthritis, swollen joints, broken bones and torn muscles. Note: Malachite absorbs negative energy easily, but holds it within the stone until it is cleaned, so it is important to "clear" your Malachite often. Obsidian is a natural volcanic glass formed from molten lava that cools very rapidly. This Black Obsidian is tumbled and opaque (dense, light cannot penetrate) with a very smooth and shiny finish. 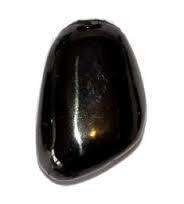 Black Obsidian is used for healing and releasing energy blockages, and has a tendency to work quickly to move truths to the surface to be resolved. This allows both healer and subject a unique clarity as to initial cause of the issue, so that it can be dealt with. If you have a physical illness, that you believe has an emotional cause, Black Obsidian could be the fastest way to discover the cause, but you must be willing to face it and ready to correct it. Black Obsidian can be very intense and one must be ready to confront their issues when working with this stone. Healers may use Black Obsidian to help those unable or unwilling to let go of the past. Black Obsidian can also be used for gazing, along with Quartz, to help make sense of any images or ideas gleaned from it. Using Black Obsidian can bring great foresight in this capacity. To gaze with Black Obsidian, choose a quiet environment with soft lighting, get into a relaxed state, and gently gaze at the stone. Remain open to any images or insights that come into your mind. These are beautifully cut and polished Golden Tiger Eye (also known as Brown Tiger Eye) Hearts from China with an attractive mix of yellows and golden browns, with variations and shimmer typical to Tiger Eye. 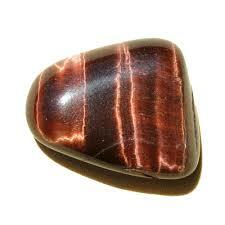 Called Bull's Eye or Red Tiger's Eye. 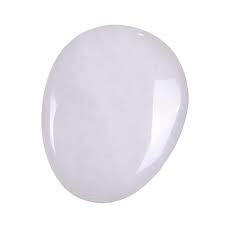 Quartz Cat's Eye is suited for school going children because it activates concentration. Next to that this stone may be used, just like all 'eye' stones, to ameliorate the eyes and to dispel and heal ailments of the eyes as well. Quartz Cat's eye is a stone that stimulates courage and gives one a sense of safety. It may also be used to heal diseases of the bronchial tract, like asthma, pneumonia and tuberculosis. This stone positively influences the muscles, nerves and motor skills. 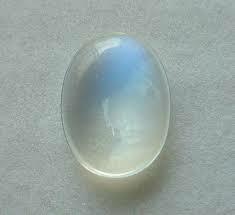 Quartz Cat's Eye may be used to heal and diminish neuritis, neuralgia and cramps. This stone also positively influences bones and joints. A powerful protection stone, Black Onyx absorbs and transforms negative energy, and helps to prevent the drain of personal energy. Black Onyx aids the development of emotional and physical strength and stamina, especially when support is needed during times of stress, confusion or grief. Black Onyx fosters wise decision-making. Use Black Onyx to encourage happiness and good fortune. Black Onyx is a strength-giving stone and can provide support for self-discipline issues. Because it helps to hold physical memories, Black Onyx can be useful in healing old wounds or past life issues. Black Onyx is wonderful for meditation and dreaming. When using Black Onyx for either of these purposes, it is recommended to use a secondary grounding stone in combination with the Onyx. Black Onyx helps one to become master of their own future. There are several different types of Opal including Boulder Opal, Fire Opal, Andean Opal (both Pink and Blue), Ethiopian Opal, Lemon Opal, etc. There are also differences in Common vs. Precious Opals. Each will have their own specific set of metaphysical properties and geological information. Opals are essentially silicon dioxide with water that has become trapped inside. In general, Opal aids in strengthening personal and business relationships. It is often referred to as the stone of happy dreams and changes. Opal is a soothing stone, helping to balance mood swings and enhance trust in your own feelings. 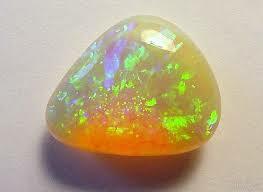 Opal awakens both psychic and mystical qualities. 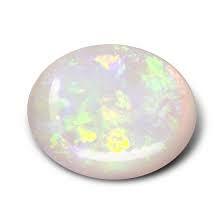 Opal can also release fear and send comforting support to those who are grieving. Peridot has also been identified as Olivine or Chrysolite. Most Peridot contains magnesium- rich Forsterite. Its color is caused by the presence of iron ions. Peridot can work with both the Heart and Solar-Plexus Chakras to affect an understanding of the role relationships play in one's life, whether romantic, friendly, or otherwise. As such, Peridot is a good crystal to wear or carry during interaction with others. Peridot is also a protective crystal, offering a supportive energy to keep chakras in balance and alignment, especially after any type of energy healing work has been done on the body. These "maintenance" type energies make Peridot exceptional in group situations, offering its upbeat and comforting vibe to all nearby. Physically, gemmy Peridot offers deep healing vibrations to the whole body, and can be especially helpful to those recovering from illness or accidents. Specifically, Peridot can bring healing to the lungs, heart, and stomach, and is believed to assist in childbirth. Pearls are globular cysts of calcium carbonate (mainly aragonite or a mixture of aragonite and calcite) that form within the tissues of molluscs as a protective coating (known as nacre) as the result of an internal irritation, such as a grain of sand. Cultured pearls have the same healing qualities as the natural pearl. Spiritually pearl soothes and heals the negativity and struggle in your life, surrounds negative energy with Light. Dissolves any negative energy being sent to you, heals your own negative thought patterns. It moves negative attachments and psychic attacks out of your aura then fills your aura with healing light, It facilitates calm and centred emotions. It heals that negative inner voice and subconscious. These Moon and Water ruled "gems" enhance sincerely, truth and loyalty. They bring centring and a calming reflection, as well as attune the wearer to the ebb and flow of life. They promote faith, honesty, purity, wisdom, charity and personal integrity. Due to its watery and lunar elements, it is quite balancing for the emotions, especially to water signs. Pearls help to balance the human body's natural rhythms and hormone levels with lunar cycles. This stone will bring you inner wisdom and help to strengthen and nurture the growth of pure love. It will teach you to open up and find the meaning and the purpose of your "true self." They enlighten the mind and inspire the mood, while helping you to learn to love yourself more and, in turn, love others more, as well. Pearl enhances feelings of good will and positive, uplifting feelings. Pearls balance and heals all chakras. The pearl helps in the search for higher wisdom and truth. It is beneficial for lung diseases such as tuberculosis, asthma, chronic bronchitis. It facilitates the healing of the heart, kidneys, urinary system and liver. Pearl possesses a sedative and also laxative effect, neutralizes poison, lowers acidity. Pearls aid in fertility, as well as in easing the discomforts of the birthing process. They have been used to treat everything from simple eye ailments to bleeding, fever and indigestion. 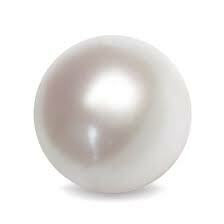 In fact, the pearl is effective in controlling the skin conditions rosacea and acne. It strengthens the nerves, the adrenal glands, the spleen and muscle tissue. It can lessen stress and it's resulting maladies, such as hypertension, headaches, and exhaustion. Pearls also help to reduce allergies. They help in the treatment of stomach aches and colds. - Mother of pearl, also called nacre, is an iridescent layer of material that forms the shell lining of many molluscs. Pearl oysters and abalone shells are both sources of this substance, which is widely used as an inlay in jewellery, furniture, and musical instruments. The colours in the abalone shell which is also known as paua shell, are more vibrant than in the oyster shell. Nacre is a tough and resilient material, but it is relatively soft and easily scratched. - Abalone shell facilitates confidence that you are walking the correct life path. Abalone shell will help you believe in and trust your psychic abilities. This stone will help you with distance healing. Abalone shell helps to create your own reality through visualisation. * Black Mother of Pearl This stone grounds, calms, soothes, stabilises and comforts grief and depression. It accesses the positive darkness where germination and new growth happen. Black mother of pearl facilitates healing dreams and protects you during sleep and in the dream state. It will help you understand that everything is alright. This stone enhances your ability to wait for the right time to take action. - Blister Mother of Pearl This stone calms you in urgent situations and life crisis so that you can make objective decisions. It soothes and reduces stress and fear. Facilitates you knowing that the current problems will pass with time and patience and everything will be alright in the end. Blister mother of pearl soothes people who are dying for facing life threatening disease or surgery. - Natural Mother of Pearl This stone calms and soothes emotionally. It ill insulate you against irritants and discomfort caused by other people and crowds. Natural mother of pearl will help you overcome your need to hide away in the background and ensuring that you feel safe and able to participate in any situation. - White Mother of Pearl This stone soothes, reduces stress and worry. It enhances your understanding that everything is okay in your life. White mother of pearl helps you see the positive in your life. It will enhance your ability to calm and ease friction and embrace the flow of your life. This stone provides you with a sense of safety and security while sheltering you emotionally. Physically white mother of pearl heals the lymphatic and immune systems. It is also known as Basalt, and is the result of an eruption of a volcano at some time in the past, which created lava which over time cooled then solidified into these rocks. Rounded shaped stones like the one shown here, have an association with feminine energy, and long pointed stones embody male energy. Moonstone prevents jet lag and provides safe travel, especially over water and at night. This bright tumbled Sunstone from India is a gem variety of Feldspar and a cousin of Labradorite. Feldspar is a family of silicates that makes up about 60% of the Earth's crust. Sunstone is known for its iridescent reflections or "flash" when it catches the light. Metaphysically, Sunstone is known for its powerful connection to the light and power of the sun. Sunstone brings light to all situations, and carrying a piece around with you can help your personal power to "shine." Once known as a stone of good luck, Sunstone has a bright, joyful energy that increases vitality and lightens dark moods. Sunstone helps empower those who feel persecuted or abandoned by others instilling confidence, optimism, encouraging motivation, and positive action. 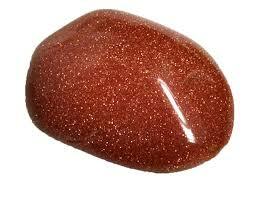 Sunstone is also useful in removing energy-draining ties to you or "hooks" into your energy by other people. 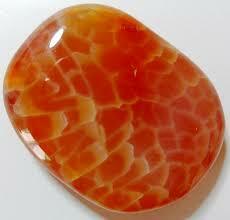 Sunstone is a great stone for the Solar Plexus Chakra, but can clear and energize all chakras. Sunstone was used by the Canadian Indians in medicine wheel rituals, by the ancient Greeks to represent the Sun Gods, and in ancient India for protection from dark forces from other realms. 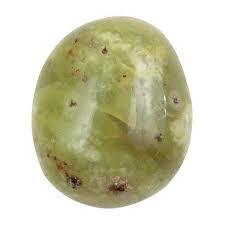 Green Prehnite aids you to connect to beings on the higher spiritual planes, and enhances spiritual growth. 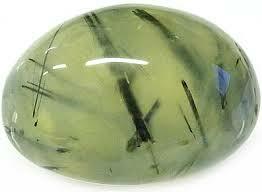 Prehnite helps you to be prepared, as it enhances precognition or prior knowledge of an event, and the gift of prophecy. By its action of linking your heart with your will, by its vibration within the solar plexus, it assists you to live life from a heart based perspective. It was known in the past as a stone of magic, and this may have been because it so strongly connects you to the Divine Mind. 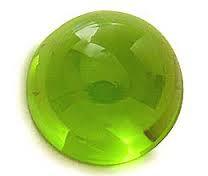 This green stone also assists you to make a connection with elemental beings, who love to be of service to you, if you treat them with respect. It supports personal discipline, and it encourages the heart to surrender to Divine will. It seals the auric field so it is very protective during meditation, so keeping a piece on your body may be highly beneficial. This green stone has been found in Australia, South Africa, China, Scotland and the USA.It forms in both massive and in a crystalline form, although the crystalline form is less common. One of the more prevalent colors of Prehnite crystal is the green stone, although it may also be white, brown, gray and colorless. Pietersite is found in Namibia and is a member of the Quartz family. 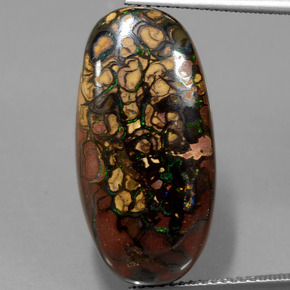 Pietersite is a high vibration stone that is used by many healers in their energy work. This chatoyant stone is very popular with healers for it's ability to stimulate the pineal gland, thus enhancing one's intuition and insight. Be aware that power and strength are amplified with Pietersite, and can come with a release of any emotions that have been previously repressed. These characteristics beg one to be somewhat prepared when working with the energies of Pietersite. This quality can be quite helpful to those working with deeply buried, past life issues that are creating conflicts in the present. Pietersite can protect one from bad weather conditions, especially while driving. At home, it will calm nervous pets (and their owners) who are afraid of thunderstorms. Creative types will find more self-confidence in themselves and their abilities when wearing or carrying Pietersite for any length of time. 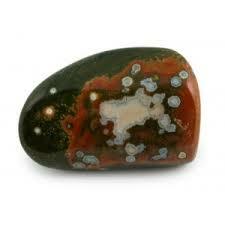 Pietersite can help one to find creative solutions to problems. Meditating with Pietersite can facilitate a deep meditative state, even to the point of trances and out of body experiences, depending on the individual's desires and experience. The energies of this of stone can clear blockages and bring light into the subtle bodies, allowing for greater progress in one's spiritual life. Physically, Pietersite can assist with such issues as exhaustion, confusion, headaches and all types of breathing difficulties. 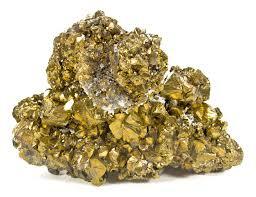 Pyrite is a very protective stone, shielding the user from negative energy of all kinds. Pyrite blocks energy leaks and mends auric tears. Carry Pyrite in your pocket to protect you from both environmental pollution and physical danger. Pyrite also promotes good physical health and emotional well-being. Traditionally, Pyrite is known as a stone of luck, helping to attract abundance, wealth and prosperity to the user, via its creative energies of manifestation, and its encouragement of following one's dreams. This quality makes Pyrite excellent for grid work and rituals. Pyrite not only deflects negative energies, but also helps to release negative and inhibiting patterns of behavior. Pyrite can enhance one's will during challenging times and supports the action necessary for personal growth and success. Meditation with Pyrite can encourage greater frequency in moments of inspiration, and its grounding action allows these higher frequencies to be grounded into the physical world. Pyrite also promotes good physical health and emotional well-being. 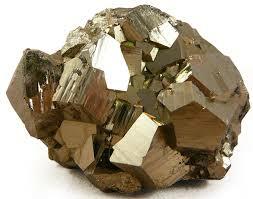 Pyrite is helpful for any type of infection and can purify the systems of the body. Pyrite can be used to bring a feeling of increased vitality during times of hard-work or stress. Pyrite is also great for balancing one's energetic fields. If you are feeling overworked lately, with no end in sight, then Pyrite might be for you! Pyrite makes a great gift for those in convalescence. Extremely popular metaphysically, Clear Quartz is the most versatile healing stone among all crystals. Quartz is the most powerful healing stone of the mineral kingdom, able to work on any condition. Clear Quartz is known as the stone of power and amplifies any energy or intention. Clear Quartz protects against negativity, attunes to your higher self, and relieves pain. Clear Quartz has been shown to enhance and strengthen the aura. As gifts from our Mother Earth, Clear Quartz comes to us with information for the higher self to assimilate in the process of one's spiritual growth. Clear Quartz is often used to cleanse, open, activate, and align all of the chakras. Since Clear Quartz absorbs energies very easily, it is important to clear these stones on a regular basis. 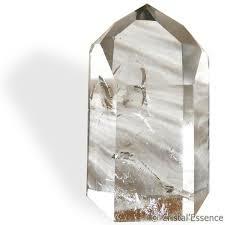 In natural form, Clear Quartz Points radiate their energies outward, into the surrounding environment. Clear Quartz can be programmed with intention and kept in a central place to emit its helpful energies. Quartz Points naturally form in a 6-sided (hexagon) shape. The Sacred Geometry of a 6-sided Clear Quartz Point contributes to its ability to magnify energetic vibrations. Quartz Points are wonderful crystals to use with any type of meditation or energy work, including Reiki, table work, and Energy Grids. Smokey Quartz stimulates the cooperation of multiple energies toward a common goal. A wonderful stone for relationships, and for people in recovery who are part of a larger group, whether it be work, hobby, a home group, business group, or association. It is a gentle grounding stone that instills balance and harmony, and can help bring peace to you, enhancing quiet reflection during meditation without the interference of the thinking mind. This is not a quick energy stone, like Clear quartz crystal, but it has intense staying power to carry you over the long haul. Combine Smokey Quartz with Clear Quartz for lots of positive energy towards obtaining your dreams and goals, and to energize them into being a reality. Smokey Quartz helps to set aside willfulness and headstrong behavior. Smokey quartz has the ability to transform negative energy, and is particularly effective in dealing with anger and resentments. It is a stone that helps you be right here, in the moment. It clears up communication difficulties, and helps to dissolve mental and emotional blockages that can get in the way of perception or learning. Calming - Smoky quartz is said to be excellent for alleviating panic attacks, anxiety, and nightmares. Meditation stone evokes effort and makes us able to cope with hard times. Adult ADD - This gemstone's gentle and focusing energy helps to alleviate confusion. Smoky quartz also gently cleanses clutter of the mind to bring focus to task as well as meditation. Hematoid Quartz contains both the amplification properties of Quartz with the balance and stability of Hematite. It is a highly energetic piece that can assist not only in removing negativity but also transforming and transmuting this energy into a positive and pure Universal light of love. The combination of Quartz and Hematite balances the body, mind and spirit. It brings a unique clarity and understanding to the emotions, helping to understand the difference between an unconscious reaction and a conscious response. Hematoid Quartz also assists when Self Worth and Self Esteem are lacking. Hematoid Quartz enhances focus and concentration and would be especially helpful for those with ADD and ADHD. Those with short attention spans or have trouble completing projects would benefit from holding or carrying Hematoid Quartz. Use Hematoid Quartz for grounding and balance when feeling scattered. It can also be used to calm anxieties, panic and/or hysteria.Physically, Hematoid Quartz can be used in the treatment of blood disorders, to balance the chakras, boost the immune system, stimulate healing, strengthen liver and kidney functions, and cleanse toxins. (1) dense dustings and/or stains on the outside of the quartz crystals or clusters OR (2) colorful inclusions (dots, drips, phantoms or overall color change) within the quartz crystals or clusters. 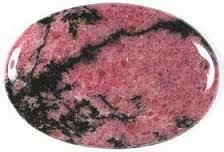 Rhodonite helps to balance the emotions and calm impatience. Rhodonite is a very supportive stone that works with the Heart Chakra to attract love and ground negative energies. Rhodonite allows one to see areas in their life that can be improved on without getting down on, criticizing or judging oneself. Rhodonite can assist one in discovering one's true passion, and learning brand new skills to enhance that passion, if necessary. Rhodonite encourages people to find ways to be of service to humanity and helps to draw in synchronization related to this goal. Rhodonite can enhance power in those who have truly altruistic intentions. Physically, Rhodonite is believed to support detoxification and healing of the organs, especially the liver. Rhodonite is a good stone to help healing ailments of the heart, lungs, and nervous system, and is also used to reduce swelling and inflammation. Tumbled Rhodonite can also be used to stimulate the metabolism. Use Rhodonite when feeling panicked and/or anxious. iThe fiery and captivating Ruby is a stone of nobility, considered the most magnificent of all gems, the queen of stones and the stone of kings. 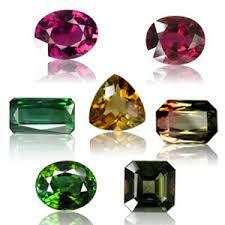 Ancients believed it surpassed all other precious stones in virtue, and its value exceeded even that of the Diamond. The Chinese Emperor Kublai Khan was said to have offered an entire city in exchange for a sizable Ruby. Revered in many cultures throughout history, Ruby has always been a talisman of passion, protection and prosperity. 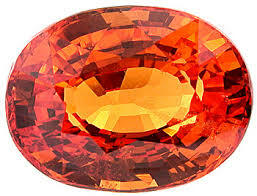 It symbolizes the sun, and its glowing hue suggests an inextinguishable flame within the stone that legends claim would shine through even the thickest clothing and could not be hidden; if Ruby were cast into water it would cause it to boil, and if carved and pressed into wax, it would melt the wax. It was worn as an amulet or charm to ward off plague and pestilence, warned its wearer of impending danger, kept the body safe, and banished sadness and foolish thoughts. It was reputed to bring its owner peace, drive away frightful dreams, restrain lust, and to help resolve disputes. 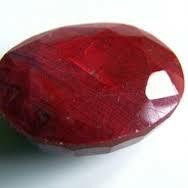 Burmese legend declares inserting a Ruby into the flesh would make one completely invulnerable. 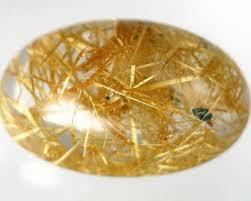 Sometimes called "Angel Hair", especially when it is found in Quartz, Kunzite, Hematite, etc., Rutile is a Titanium ore. It forms in lustrous needle-like inclusions and, as such, can often pinpoint the root of a problem or disease, making it easier to make decisions about the outcome.Rutile strengthens the aura and can stabilize relationships, especially romantic and familial. It gives insight into past emotional trauma during astral travel. It is also beneficial during dream recall and meditation. Rutile can enhance clairsentience, further enabling the use of one's intuition. 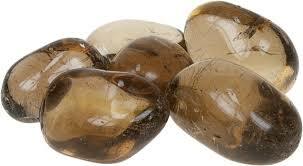 Physically, Rutile alleviates bronchitis, impotence, increases lactation and strengthens the walls of veins. It can restore balance to the body by pointing to the area of disease and aides in cell regeneration. Known as the "wisdom stone", each colour of Sapphire brings its own particular wisdom. It releases mental tension, depression, unwanted thoughts and spiritual confusion. Sapphire restores balance within the body, aligning the physical, mental and spiritual planes, bringing serenity and peace of mind. It stimulates concentration, brings lightness, joy and peace of mind. Sapphire is also known as a "stone of prosperity", attracting gifts of all kinds and fulfilling dreams and desires. 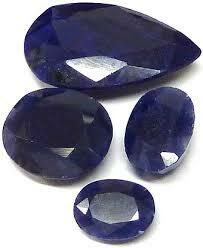 Sapphire treats blood disorders, combatting excessive bleeding and strengthening the walls of the veins. It is used for cellular disorders, regulates the glands and calms overactive body systems. The Blue Sapphire is traditionally associated with purity and love. It assists you to stay on the spiritual path, releasing blockages and providing strength. 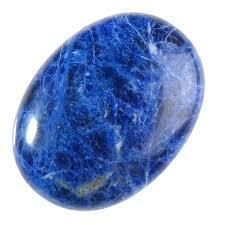 Blue Sapphire facilitates self-expression, assisting in communication and expressing your truth and beliefs. It opens and heals the thyroid and the throat chakra and has a calming and balancing effect on the nervous system. Yellow Sapphire attracts wealth and brings prosperity to the home. It stimulates the intellect and improves overall focus, enhancing wisdom. assists in bringing fulfillment of ambition. It aids in eliminating impurities from the body and stimulating the lymphatic system. Treats liver and gallbladder problems as well as disorders of the spleen and stomach. The Black Sapphire provides centreing, protection and grounding. It helps you to achieve confidence in your own intuition. Pink Sapphire clears emotional blockages bringing peace and unconditional love. White Sapphire is extremely protective, removing all obstacles and helpfully encouraging the pursuit of one's life purpose. It provides focus and supports morality and justice. The Indigo Sapphire enhances psychic awareness. It eliminates negative energies from the aura. 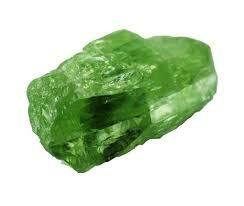 Green Sapphire is known as the "stone of fidelity", stimulating the heart chakra and bringing loyalty and integrity. It improves internal and external vision and helps you to remember dreams. eptarian nodules are unique in that they were formed as a result of volcanic eruptions and attracted dead sea life chemically bonding them to the sediment and forming mud balls. They are composed of Calcite, which makes up the yellow centers and Aragonite which are the brown lines. The outer grey rock is Limestone. The name Septarian comes from the Latin word "septum" meaning seven, or "saeptum" which means a wall or enclosure. As the balls dried they shrank inside and had a tendency to create a distinctive pattern of 7 points in every direction. So named for its connectivity to the highest choir of angels, Seraphinite (Clinochlore) offers some spiritually beneficial energies to all those who encounter it. Seraphinite is a stone of light energy, pulling higher vibrations into the subtle bodies, making it an important stone for those working on the ascension process. Seraphinite can infuse each of the chakras with divine energies. Seraphinite can be uplifting for those experiencing a reactional depression. Working with Seraphinite during meditation can help those who lack purpose to discover their place in the universe. Seraphinite is also known for connecting with the devic realm and tends to have a stronger effect when used in nature. Seraphinite clears blockages in the chakras and enhances the aura, and it can have beneficial effects for both the wearer and the person nearby. Seraphinite also makes a great crystal to keep in the home, office, or even the car, where it can emit its protective, angelic energies out into the environment. 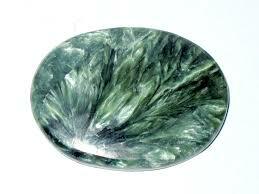 Seraphinite can be used by experienced, spiritual adepts to raise the Kundalini energies up along the spinal column. Seraphinite is well-known as a superb healing crystal, offering balance and strength where these qualities are lacking. Many crystal healers love Seraphinite for its ability to bring light energy into the DNA, for accelerated healing. Its ability to focus on the Heart and Crown Chakras adds to its healing effects in these regions of the body. Physically, Seraphinite can aid with the delivery and assimilation of vitamins and minerals in the various organs of the body. Seraphinite also can enhance weight loss and the detoxification process. Use Seraphinite when warding off the chills or for fighting an infection. Serpentine, also called "New Jade" is a wonderful healing stone! 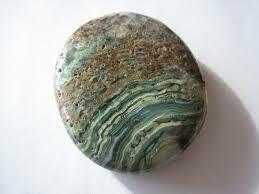 Serpentine helps to clear out and release the clouded/dense areas of all chakras so that healing can occur. Serpentine will help with healing on all levels (mental, emotional, and physical). Serpentine forms a unique connection to promote healing in the way that is best for each individual. Serpentine can be used to attract/manifest what you want into your life--abundance on all levels, prosperity, love, healing, etc.It aligns your intent with the Heart Chakra and Source energy. The name "Serpentine" was given to this stone since many types of Serpentine resemble the color and texture of the serpents scales. And what better stone to use when working with the rise of Kundalini energies. (Kundalini is a Sanskrit word meaning either "coiled up" or "coiling like a snake.") Serpentine helps to create an opening so that the Kundalini may travel and lessons the discomfort, which is sometimes associated with movement. 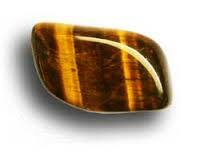 Serpentine also enhances the meditative state and retrieval of ancient wisdom. A stone of awakening, Sodalite stimulates the Pineal Gland and the Third Eye, and deepens meditation. Sodalite is helpful for those who find themselves to be over-emotional, due to its ability to focus energy on the Third-Eye and Throat Chakras. This will allow one to use more logic and intuition, rather than the emotions from an over-developed Heart Chakra. Sodalite helps to enhance psychic abilities while discouraging any obsession about such abilities. Sodalite encourages discipline and will in one's personal and public lives, and can be a facilitator of career advancement when used in this manner. Carrying Sodalite during the day can help one to find efficient ways of dealing with daily tasks and problems. Place Sodalite next to your computer to help clear electromagnetic pollution. Sodalite works with the Throat and Third-Eye Chakras to help and guide one on their spiritual path by opening a window into the subconscious mind, pulling subtle images into the conscious mind. Sodalite can also be an aid to those studying symbolism and its role in the greater scheme, by helping one to become aware of the patterns that can occur over the course of one's life, and their meanings and purposes. Physically, Sodalite can ease anxiety and panic attacks, mental confusion, and fear/phobias. Use Sodalite to strengthen the immune system, ease insomnia and balance metabolism. Spinel comes from the Latin word, "spina", which means "spine" and describes the sharp, needle-like formations that create Spinel crystals. 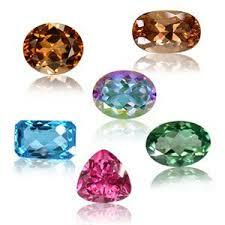 Most Spinels were originally mistaken for precious gems, such as Rubies and Sapphires. Spinel: Red, Blue, Green. Calms alleviates stress, depression. mental rejuvenation. Most commonly used to aid in detox (together with fasting, enemas, and alcohol/chemical detox of blood and organs, including skin). Red: Also for strength, kundalini. Many of the larger ''rubies" in the world are actually spinel. Found in the US, USSR, Sri Lanka, Italy, and Germany. Encourages moderation of all excesses and aids in the detoxification of both the blood and the mind. Helps lessen anxieties. Benefits the skin. Said to be an aid in fasting. The name may be derived from the Latin word spinella, meaning "little thorn", possibly referring to the fact that some spinel crystals are found with sharp points. Spinel is almost a secret among gem lovers. It's hardness of 8, and lack of cleavage makes for a tough and durable gemstone. It mimics corundum, and crystals are found in a wide spectrum of colors, including red, orange, yellow, dark green, blue, purple, brown and black. 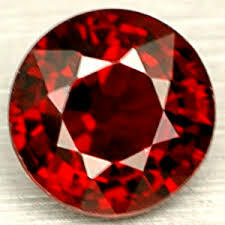 Spinel - It has a rejuvenating energy, helping us to be renewed, refreshed and restored. It can encourage our attempts at difficult tasks and to overcome all obstacles. It can help increase the positive aspects of ones personality. It is said to be the stone of immortality. It can help ease stress and depression, bringing calm to those using the stone. It is a stone that is good for healing and aura cleansing. It is useful for astral travel, channeling and clairaudience. It is helpful reduce our forgetfulness. It has been used to attract money, wealth and prosperity. Spinel healing power : Blue, green. Calms and alleviates stress, depression and mental rejuvenation. Most commonly used to aid in detox (together with fasting, enemas, and alcohol / chemical detox of blood and organs, including skin). Augments renewal, allowing us to refresh and restore ourselves time and time again. It is associated with hope, will and purpose, encouraging us to overcome all obstacles. It also fosters communication between the generations, allowing us to understand the very old and very young. Black Spinel: Fosters protection. Black spinel is the opaque jet black variety of spinel. Black spinel is the premier black gemstone. With a hardness of 8, it's extremely durable. Black spinel lacks the metallic luster of hematite or black diamond, other popular black gemstones. Black spinel is a true gemstone, unlike jet, which is form of coal (coal). Black spinel would make an attractive center stone when surrounded by diamonds or white sapphires. Black spinel is often confused with black tourmaline, another great material for use in making jewelry with black gemstones. Black Spinel - It is said to be energetically one of the top three protective crystals compared to Blue Amber and Gel Sugilite. It works well on the first, second and third chakras. It helps get to the source of your dis-ease. It can go to the source of your illness, be it physical, emotional or mental in its beginnings. It works many different levels and its healing abilities are endless. It works well with any other crystals, it has a good working relationship with all crystals and minerals. It is a wise and gentle yet powerful tool. It can be helpful for those with issues of rage, who wish to clear it in a gentle healthy way, it can help absorb a great deal of that rage during the clearing process. It is a wonderful stone for all healers. This crystal will go in and find that source and work with you to clear it. See also the properties of Spinel above. Blue Spinel: Soothes and calms, bringing peace and transcendence. Colored by iron, and sometimes cobalt, blue spinel is occasionally confused with blue sapphire. African blue spinel often has the appearance of Montana blue sapphire. Colorless or White Spinel: Colorless, or an extremely light shade of color. Most white spinel is synthetic. We feature only natural white spinel. 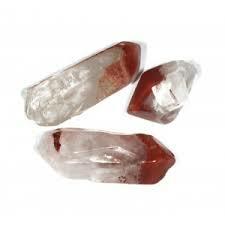 Red Spinel: Energizes and strengthens, also for strength, kundalini. Colored by chromium, red spinel has been, and is easily confused with ruby. Many of the world's famous "rubies" have turned out later to be red spinel. Purple Violet Spinel: Encourages us to serve the forces of goodness and light. 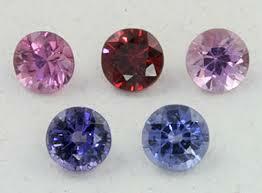 Lavender spinel is the lighter violet variety of spinel. Green Spinel Facilitates healing, communication and wisdom. A relatively new gift from Mother Earth, Tanzanite was first discovered about 30 years ago in Tanzania, Africa, supposedly by a Masai cattle herder. Tanzanite increases communication with the spiritual world and facilitates access to ancient wisdom, especially to the spiritual knowledge of ancient indigenous tribal cultures. 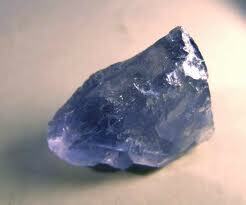 Good for spiritual exploration and inner journeys, Tanzanite aids visualization in meditations. 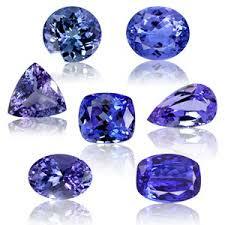 Use Tanzanite to deepen guided group meditations. Topaz, as it comes in its purest form, is a transparent stone. But in Nature we can rarely find pure topaz without impurities. 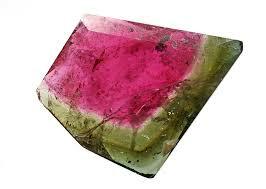 The impurities present within the crystal lattice are responsible for the various coloration of this stone. The typical topaz crystals are yellow or of vine color, but they can also be white, gray, golden, green, blue, pink, reddish, transparent, or semi-transparent. When irradiated, topaz can change its color to blue, starting from light blue shades up to dark, almost electric blue nuances. The deep golden-yellow topaz is known as imperial topaz. The transparent topaz is often called white or clear topaz. This stone is a silicate material made out of aluminum, silicon and fluorine. It crystallizes into the orthorhombic group of crystals, and is often terminated by pyramids. The name topaz is believed to originate from the Greek word for one of the ancient island in the Red Sea - Topazios, famous for the yellow stones excavated there, which is now believed to be chrysolite gemstone (a variation of yellow olivine), not topaz at all. 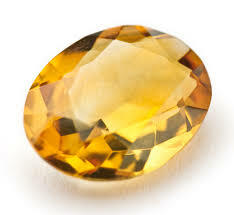 Actually, up to the classical times, the name topaz was used to designate any for of yellow stone. Topaz is one of the twelve stones in the breastplate of the ancient Hebrew High Priests, which is mentioned in the Book of Exodus. It is believed that the stones of the breastplate together with 12 powerful Angels protect the door to Heaven. Topaz helps in establishing a practical point of view when it comes to life in general. It is thought to be able to point in the direction of the most practical solution to any problem or situation. It helps us to walk the distance between point A and point B in our everyday life without loosing time. Topaz can help us in our daily meditation and visualization. It can open us towards the universal energy and give us new courage, will and strength to make the necessary changes in our lives. Topaz crystal, especially of high purity and transparency, is a carrier of solar or male energy. With its help we can open and balance a number of energy centers - chakras. Topaz is a powerful stone for strengthening the whole physical body. It balances, soothes and cleanses emotions and thoughts, releases stress, and brings joy. In spiritual sense this stone brings love and peace. As a healing stone it can help with blood disorders, promotes rejuvenation, and helps in curing endocrine problems, thrombosis and asthma. Blue Topaz stones will heighten your ability to communicate better, and to express yourself in a meaningful way, both when speaking or when writing. It is a helpful stone if you have been having difficulties with public speaking. It may also assist you to think better and to concentrate on the task undertaken. It will also help you to decide what type of employment you wish to be in, and has a vibration that allows you to make clearer and more specific decisions about the direction you wish to take your life. It aids you to discuss your life path with those dearest to you, as it helps you to clearly express your hopes and wishes. It will help you to speak clearly and to communicate what comes through from spirit, in a manner that others can clearly understand. Basic talents the tourmaline possesses (regardless of its color) includes promoting inspiration and happiness, reducing fear, and building self confidence. It also balances yin-yang energies. Helps bridge physical with the spiritual. Tourmaline comes in a wide variety of colors. The energies within the crystals differ depending on the specific colors. Shamanic use of tourmaline regionally through the ages includes healers from Africa, India, Aboriginal tribes, and Native American. Red-Violet, Deep Pink (rubellte)	Root chakra healer. Offers vitality to the physical body. Orange	Enhances creativity, stimulates the sacral chakra, and balances emotions of sexual nature. Yellow (tsilasite)	Aligns with the solar plexus chakra. Boosts personal power and spiritual growth. 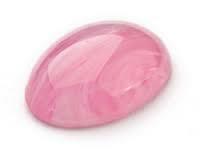 Pink (elbaite)	Promotes joy and love. Green	Opens the heart chakra, allowing it to perceive what the third eye visualizes. Teaches compassion. A must-have stone for the herbalist or anyone who works with plants. Attracts success and abundance. Blue	Activates third eye and throat chakra. Assists retrieval of higher knowledge and enhances inner knowing. Brown (dravide)	Cleanses the aura and auric field. Can be used as a protective stone to bring peace and hope. Black (aphrizite and schorl) Repels negativity.Lifts dark mood into the light. Grounds root chakra to the earth energies. Watermelon	Promotes unconditional love. Bonds the heart chakra energies with the higher self. Enlightens energies, allowing room for laughter and lightness.... releasing moods of being too serious. Neon	Magnifier energy that can be used as a complementary tool to enhance healing properties of other healing stones. Offers power and focus. 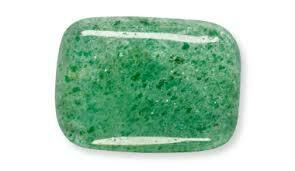 Colorless (achroite)	Activates the crown chakra. Assists communications with the ascended masters, extraterrestrial beings, and the angelic realm. Also aids higher awareness. Metaphysically, Turquoise is considered to be a bridge between Heaven/Sky and Earth, grounding us while still remaining open to Spirit. Many Native American cultures believe Turquoise helps to connect the mind to the infinite possibilities of the Universe, and Turquoise is considered sacred in many Chinese cultures as well. Turquoise is a strengthening and purifying stone, protecting against environmental pollutants, and is especially good for Sagittarius. 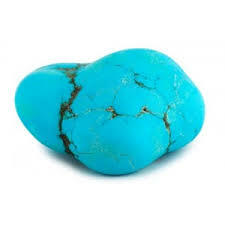 Tumbled Turquoise is great for working with the Throat Chakra, to foster honest and clear communication from the heart, and with water and air elements. Enhancing intuition, Turquoise also eases communication between the physical and spiritual realms. Use Turquoise to release old vows, express freely, and ease nerves when speaking in public. Unakite is an altered Granite consisting primarily of pink Orthoclase Feldspar, Clear Quartz and green Epidote. 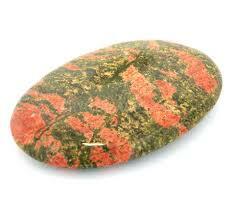 Unakite balances the emotional and spiritual bodies, and provides gentle release of energetic blockages. It helps us to move on from outmoded beliefs from the past. Unakite can also be used for help with past-life regression therapy, and facilitates the understanding of previous events and their roles in the current incarnation. A stone of vision, Unakite can open and activate the Third Eye Chakra to receive spiritual insights from higher realms. Unakite's grounding effect can bring a calming influence to any environment, and is great for the workplace or the home, sending out peaceful vibes to all those nearby. Physically, Unakite is said to be good for the reproductive system, for healthy pregnancies, and for the healthy development of unborn babies. Unakite can also protect against electromagnetic pollution from computers or cell phones. Unakite is also used during recovery from trauma or major illnesses, helping the cells to "remember" the state of perfect health. Often confused with cubic zirconia, Zircon is a gemstone in its own right, and has been revered as a protective stone for centuries. Its color varies from colorless, deep red, reddish brown, brown, gray, blue, golden yellow and orange. 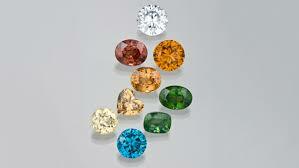 Many Zircons may be heat-treated to increase color density. Zircon enables its wearer to experience life with a renewed sense of enthusiasm and joy and share that joy with others. It can bring solace and peace after traumatic experiences and increase vitality after physical exertion. Zircon can help one to move on after a broken relationship, increasing your charisma when finding new love. Use Zircon to protect yourself from thievery and liars. Place one in your home to find lost items, pets or even people. At work, Zircon can aid in increasing your odds at landing that job or applying for that loan. Physically, Zircon helps with muscle and bone disorders; relieves insomnia, allergies and vertigo; heals infections and viruses, and balances the pineal gland. Ruby in Zoisite, also called Anyolite, is a combination crystal that contains both the properties of fiery Ruby and earthy Zoisite. This stone contains small Ruby crystals that have become embedded in Zoisite. It is a "marriage" of passion and patience. Ruby in Zoisite enhances psychic abilities, aids in the communication of spirit guides and, when placed on the Crown chakra, amplifies spirituality, engaging the body's own energy field. Ruby in Zoisite helps you to maintain your individuality while still being part of the world around you. It keeps you from over-reacting to difficult situations and prevents mood swings. 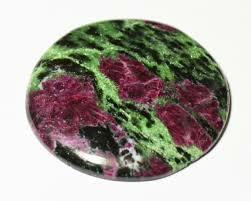 Ruby in Zoisite transmutes negative energy into the positive. It is especially helpful during the grieving process, allowing you to release that pain and sorrow and gain spiritual comfort while getting on with your life and regaining that passion. It also enhances that passion into compassion for others who may be going through the same. Physically, Ruby in Zoisite calms a racing heartbeat while maintaining the body's equilibrium, especially during times of stress. It relieves inflammation and promotes strength in the immune system, heart, and lungs. Ruby in Zoisite can help heal problems associated with the reproductive organs and increase fertility, both in men and women. It is most helpful after a miscarriage or hysterectomy. Ruby in Zoisite is also beneficial in fighting bacterial infections.